Happy Last Day of 2008!!! Wow, can you believe 2008 is almost complete? It went way to fast, if you ask me. I guess when you have kids, you can see time moving right in front of your eyes. I can't believe that I had 2 kids in school now. I thought I just graduated from college. LOL!!! I want to share my Scrap N Supply Shack reveal for the January 2009 kit. It contains lots of great paper from the Artic Chill line from Fancy Pants. It also contains a Fancy Pants overlay, really cool clear ribbon, some fun Maya Road goodies, flowers, buttons, and more!! At first I was a bit stumped because I don't really have any snow photos. Not much snow here in Southern California! But the colors really work for so many different kinds of photos that once I started playing, the layouts came easily!! 1 Fun Ride: My kids LOVE their scooters right now!! The Santa Barbara Zoo has a Lorikeet exhibit where you can feed the birds. They are so beautiful and Kevin really enjoyed himself! Here are my 2 cuties, always with a smile for me!! Well...most of the time. About a week before Christmas, my SIL and her family got a fairly rare snowstorm where she lives. These pics made perfect Christmas gifts for them!! And the kit included this great snowflake, that I turned into an ornament with the cutest photo EVER of my niece and her snowman!! I used lots of acrylic paint and stickles on this ornament!! And lastly, I made this origami box. I love making these!! Perfect for some holiday treats for a neighbor. Yes, it's a late Christmas greeting but I haven't had time to get to my blog for a while. We spent 5 days at my mom's and saw all of my family plus Jason's parents who traveled from Maine. We had a great holiday with everyone. So many good presents and good food and good laughs. Here are a few highlights. Opening Stockings on Christmas Morning. Santa always brings M&M guys and chocolate gold coins. He's so smart. The kids out of their pajamas and into their Christmas clothes! Why they chose to sit in front of my mom's front door on the floor is beyond me, it was hard enough to get them to stay still for a photo! Me and my Mom wearing our new Christmas jewelry! Kayla and Uncle Paul. Please don't ask me about his hair. I don't have any answers. We 're-gifted' to Jason a singing, dancing George Bush doll. The look on his face when he discovered all it had to offer was priceless! And my sister's face, too!! Sarah and Jason bought this wagon wheel at an auction in Maine this past fall for my mom. My mom has been wanting a wagon wheel for her garden for years, now. It was so fun to watch her open it!! Please excuse the lighting, it's awful. The sun was streaming through the window and the photo is not the best. I haven't figured out if I can fix it. My sister and I NOT helping with dinner!! Everyone!!! Full and happy after dinner! John just had to grab George Bush for the photo. Wait...is that George trying to steal Jason's wine???? And then on the 26th, my sweet boy turned 7!!!! I can't believe he is 7, I had a bit of a freak out about it. I hope you all had a wonderful holiday with your families. I am getting the itch to clean up the house now and get all the stockings put away. I'm off work this week so I am also hoping to get some scrapping done!!! Make way for 2009!!! I wanted to share this gift I made for the kids teachers because i'm totally fired up how it turned out. I made them each 10 thank you cards, teachers always need thank you cards, right??? And then I dressed them up in this card holder/folder. I ran across this blog, Hand Stamped by Lacey on one of my nightly blog hopping sessions. And not only does she make wonderful cards, she has all sorts of other projects as well. And that is where I got this idea!!! Here's the front. I cut the flowers out with my Walk In The Garden Cricut cartridge and added some Stickles to the flowers. I also cut out the scalloped squares with my Cricut. I've had that machine for 2 years and I swear, feel like i'm just scratching the surface of it's potential!. Then put the cards inside the little pockets, along with envelopes, and added a big ribbon to tie the whole thing closed. I was so happy how they turned out. I will definitely be making more of these, what a great way to give a card gift set!!! Thanks for stopping by and hope you are ready for holiday!!! We make frosted sugar cookies!!! We get together with the same friends every year to decorate cookies. I think we've done this every year since Kevin was 11 months old. FUN!!! I'll have to put together a little mini album one of these days. The kids have fun together and the adults can sit around and chat, have a holiday homebrew and relax. I love these days!! We also went last night to see Christmas lights. Another thing we do every year with friends. The kids love it and this year the houses did not disappoint. There was a new one that was just decked out completely. The arches over the driveway lit up in time to the music that was playing. There was even a lifesize Santa in the driveway that talked. Oh how the owners of the house must have loved our kids running all over and screaming for Santa to talk to them! They must leave and go on vacation for the holidays, LOL!!! I was taking photos without my flash and the group shot would be worked if the girls could have just stood still!! We are done shopping, I have a few more little things to make and then we will be READY!!! I can't wait! Yeah, today was my last day of work until the 1st of the year. I'm lucky enough to work for a company that gives us Christmas through New Year's off as company holidays. And I am taking a few days before Christmas off...and my vacation has begun. So happy!!! Too bad it's so damn COLD here!! Brrrrrrr...it was 33 degrees with an arctic wind during my run this morning. I have been busy baking. My niece's birthday party was this weekend and I made 50 monkey cupcakes. The party was so fun, bounce houses, great music, and a green screen the kids could dance behind. Plus banana splits and cupcakes!! The cupcake with a bow was a special one for the birthday girl! Craig volunteered me to make cupcakes for the teacher's holiday luncheon at the kid's school today. I had high hopes, but ran out of time so all I did was chocolate cupcakes with white buttercream frosting piled high and christmas sprinkles. The kids helped with the sprinkles! And I made almond sugar cookies to bring to work today. These were a bit different than the regular sugar cookie recipe I usually make and were quite good. A bit dry, I didn't do frosting. Just plain sprinkles. But overall, they were good! That's about it, I have tons more baking planned. I also have shopping to finish up, Craig and I plan on going tomorrow while the kids are in school. I'm going to Kayla's Gingerbread House decorating party Friday. Yeah! Then we are having friends over Saturday to decorate cookies and going to see the Christmas lights Sunday with another group of friends. Busy, but FUN stuff going on!! I hope you are getting ready for the holiday next week!! Here are some pics i've taken for my December Daily album. Are they in my album yet? No, but they are all organized by days and ready to print out. That counts, right?? Hope you're having a great Friday!!! 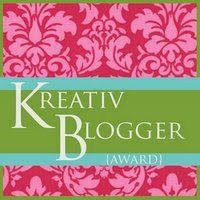 I won a blog award!! Wow, check this out! My scrappy friend Kristii, who is also a fellow Daisy Girl over at Color Me Daisy honored me with the award!! How stinkin' cool is that??? Kristii is one AMAZING scrapper. You must check out her blog, it's very inspirational. Her work is wonderful and she does amazing things with her Cricut! Thank you so much for the award, Kristii! I am honored to be a Daisy Girl with you!! Here are my nominees, in no particular order!! 1. Beth: I met her over a year ago cruising around scrappy message boards and we became fast online friends. She is so creative and does amazing things with paper and food and jewelry. We drink virtual margaritas together and love to chit chat about all things crafty! Maybe sometime i'll even be lucky enough to meet her in person! As Beth would say...Dreams are Free! 2. Sarah: Yes, she's my sister. But she's got some serious crafty talent!! I am so glad we are getting to scrap together and go on scrap retreats together. She doesn't update her blog as often as i'd like her too, because I would love to see what crafty projects she's working on for the holidays. Hint Hint Hint...Love you, Sis!! 3. Mel: Mel is another online friend who is such a crafty girl!! She makes wonderful cards and layouts and is always up for a challenge. I love seeing pics of her family and new projects on the blog. And she's always up for a virtual margarita as well!! And this girl plays a mean game of live bingo, so watch out! 4. Kimmie: I 'met' Kimmie through Beth and she is one amazing talented crafty girl! You MUST check out her blog for pics of the Pink Pirate Party she just threw for her adorable daughter. Woah, check out her pirate cake!! Amazing stuff from this girl and I love peeping at her blog!! 5. Sarah S: I've known Sarah on a couple of message boards but now I get to be on the Moments 2 Remember DT with her!! I love her scrappy style and she loves Sam Adams cherry wheat beer AND her hubbie is a homebrewer!! What's not to love! That's it for now!! I can't wait to see who you all pick for the award! I am back from my scrap retreat!! And it took me this long to post. Geez!! We had a fantastic time, 12 scrappy, funny, creative, chatty girls together for a weekend of scrapping and drinking and laughing. I love these weekends. I got about 20 layouts completed, which I was happy with. I also started a bunch of cards that i'm making for gifts. I haven't had a chance to take pics of any layouts, hopefully this weekend when the weather is a bit nicer. But...here are some other pics!! The scrap room, it was in the 'basement' of this cabin. Lots of space for everyone! There were 3 levels, the basement where the scrap room was. The middle floor with the kitchen and dining room and fireplace and then upstairs was the bar, TV room and master bedroom. Here's a pic of the kitchen from the upper level. Pretty roomy for all of us and our snacks! And here are pics of the sunset from the upper balcony. It was cold and crisp, just the right weather for some warm fuzzy socks. We made Yucca Blossoms, which consist of limeade concentrate, Diet 7-Up and Vodka. YUMMMMY!!! After a few of those everyone was laughing and sharing their deep dark secrets from their past. Hee Hee..Too fun! Here is Melissa, Tiffany and I smiling for a self-portrait. No makeup, girls!! We are all natural, what a fun weekend. I cannot wait to go again!!!!!!!!!!!!!!! The December kit from Scrap N Supply Shack is filled with papers from Basic Grey's Wassail line, Making Memories and Little Yellow Bicycle!! Woohoo!! It's a super fun Christmas kit with all sorts of goodies. I decided to use this kit to make my December Daily album. Very inspired by Ali Edwards. I cut two pieces of chipboard, 8x8 size, for the covers and then just started adding pages. I used mostly cardstock and patterned paper, but I also added a transpareny or two and sheets of my son's baseball card holders. They are perfect for wallet sized photos! The shimmery red numbers are from the kit, those Thickers are SO pretty!! I have been taking photos each day, but haven't actually put them in the book yet. I plan on getting caught up soon! I also made some cards and a cute gift for Kayla's teacher. Plan on filling up the paint can with some homebaked goodies. She just loves that little Gingerbread man! I used my Stretch Your Imagination Cricut cartridge. I've just begun to scratch the surface of that one, lots of cool images!! Thanks for checking out all my projects! I've been busy and have fun making all sorts of Christmasy goodies. I'm going to start baking soon, so watch out! I'm leaving tomorrow for a scrap retreat with some girlfriends. I hope to get some more christmas projects completed and have some fun in the process. Have a great weekend! !